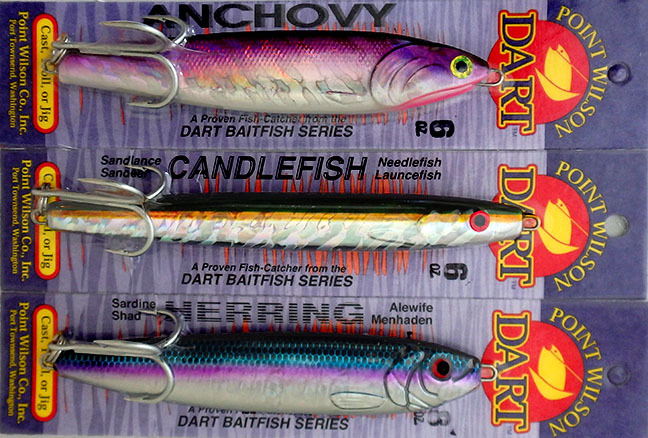 Point Wilson Dart fishing jigs come in 3 styles. 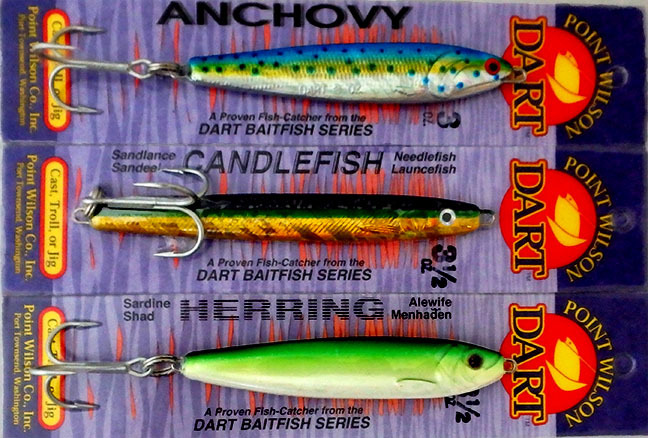 Anchovies sink with a fish-attracting fluttering action perfect for tuna. 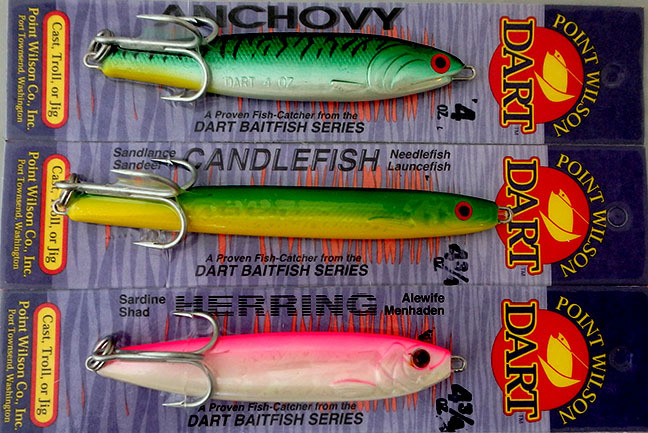 Candlefish are the fastest sinking jig on the market getting right down to where the fish are. Herring capture the best of both by sinking faster than the anchovy with more action than the candlefish. Click on photos below to shop for your preferred size of jigs. SECURE CHECKOUT. Click Photo to shop for Point Wilson Darts in size pictured. We accept Visa, Mastercard, and Discover as well as PayPal. When checking out online you may have to go through several screens before you get to the option to use your card. SECURE CHECKOUT. Customers outside of the USA please order these jigs from DartJigs.com or SquidLures.com. Ordering to other countries from this site may result in being asked to send additional money to cover the cost of shipping before products can ship.